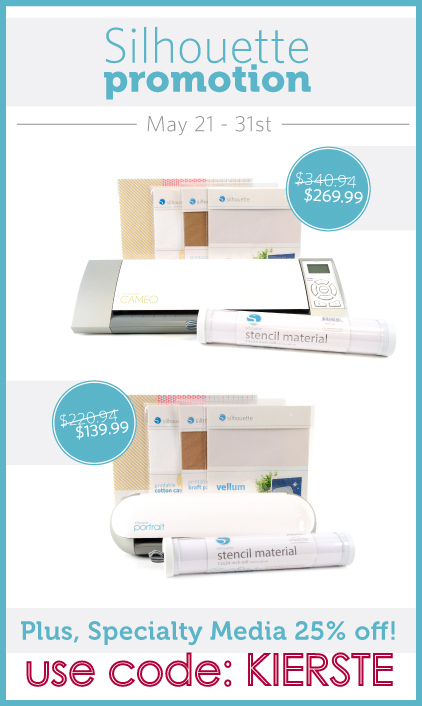 Silhouette Washi Sheets & Specialty Media Promo!! This post is sponsored by Silhouette. All opinions are 100% mine. I so love pretty packaging —to add ribbon, bows, tags, twine, and other embellishments to fancy up gifts and cards. I also love quick and simple, so when I find awesome products that help me accomplish all of these things, I am thrilled. I’ve recently discovered Silhouette Washi Sheets, and I ADORE them! Washi Sheets??? Oh, yes! Have you ever wished that washi tape was wider? Or bigger? It is now!!! Now you can cut it into shapes or text on your Silhouette, and use it in a million ways–cards. crafts. 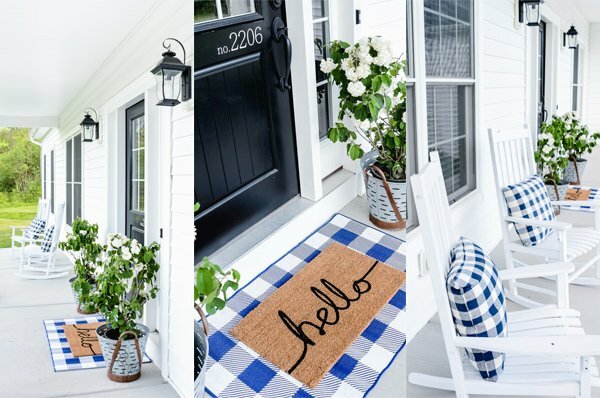 home decor, and more! It’s super easy to work with, and I love these simple additions on the card and jar using it. You can get way more fancy than this–remember I like simple? ☺ I just cut simple circles and scallops and they were a cinch to add. No adhesive needed–just stick them down! EASY!!! Silhouette has a GREAT promo going on right now, on their machine bundles, and all specialty media. They have SO many fun products that I love, and make life easier!!! Printable adhesive, cardstock, magnet paper, corrugated paper, cotton canvas, washi sheets, gold foil, silver…you see what I’m saying? Right now you can get 25% off on all of it! Plus…great machine bundle prices! If you’ve been wanting to try any of these, it’s a great time to do it! You’ll need to go HERE to take advantage of the machine bundles, and HERE to get the 25% off specialty media. JUST USE THE CODE: KIERSTE at checkout!!! Help! My blade is sticking all the way out. I finally got all of my stuff in, and now it won’t cut.